There’s no shortage of horrible things that will become more common in the near future due to climate change, like coastal flooding, extreme weather, and disease-causing ticks, to name a few. But new research published this month in PLOS-One adds another annoyance to the list: Allergy-causing ragweed. The common ragweed, or Ambrosia artemisiifolia as it’s formally called, is a voracious plant known for quickly overtaking whatever environment it’s suited to inhabit. The plant grows annually through the warmer parts of the year in the US. Importantly for us, it’s also an abundant source of pollen, making it one of the leading triggers of hay fever and asthma. Though native to parts of North America, ragweed has invaded much of Europe, Asia, and other areas with relatively temperate weather, including some of the Southern United States. Given ragweed’s love of warmer temperatures, scientists have feared that climate change has and will continue to help it spread further. There’s already research suggesting that this is happening in Europe, but the authors of this latest study say theirs is the first to consider the future of ragweed in North America. “It was surprising that nobody had looked at ragweed distributions in the US: As climate conditions are changing, where will it spread to in the future?” said lead author Michael Case, who worked on the study during his time as a postdoctoral researcher at the University of Washington, in a statement. The researchers created different models to predict ragweed’s growth within the Eastern US. They stuck to that region because of the availability of data on when and where ragweed already grows. They ran 13 models, changing up variables like the amount of rain during August and the average temperature, for two different scenarios (a future where greenhouse gas emissions continue to climb and one where we show some restraint in emissions) in two time periods (the 2050s and the 2070s). 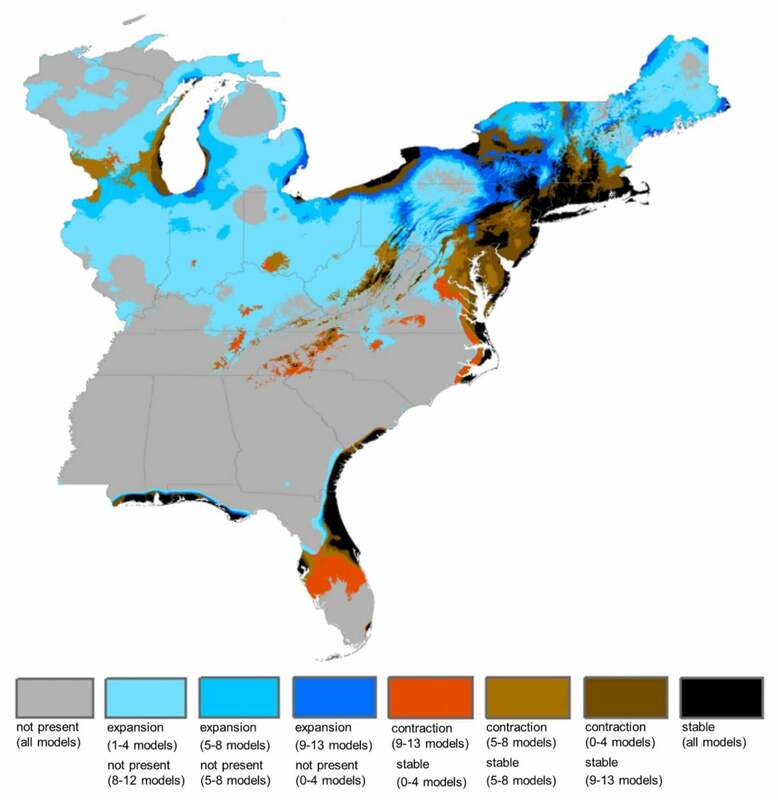 Even in the more optimistic scenario, the majority of models predicted that, by 2050, ragweed will encroach into new areas of the US, including the states of Maine, New Hampshire, Vermont, and more parts of New York. And through climate change might drive ragweed away from some areas, the overall distribution of the plant—measured in square kilometres—will likely nearly double by the 2050s. “Our results show that common ragweed is projected to have substantially more suitable climate space in the future across the eastern US,” the authors wrote. The news isn’t entirely bad, though. That’s because the effects of climate change on wildlife can be complex. And strangely enough, the team also found that by the 2070s, ragweed distribution might start to shrink from the peak levels seen in the 2050s, thanks to more extreme swings in temperature and precipitation (ragweed, like humans, doesn’t love weather that’s too hot or too cold). Of course, even those levels are much higher than what we see today, so it’s not a great silver lining. Still, the researchers hope (perhaps futilely) that their findings will encourage public health experts and local governments to appreciate the threat of ragweed invasion in the years to come.